Coiffure Louis XVI. Rococo period. Home » Coiffure Louis XVI. Rococo period. „Album de coiffures histories“ by E. Nissy. Published 1890 by Albert Brunet. 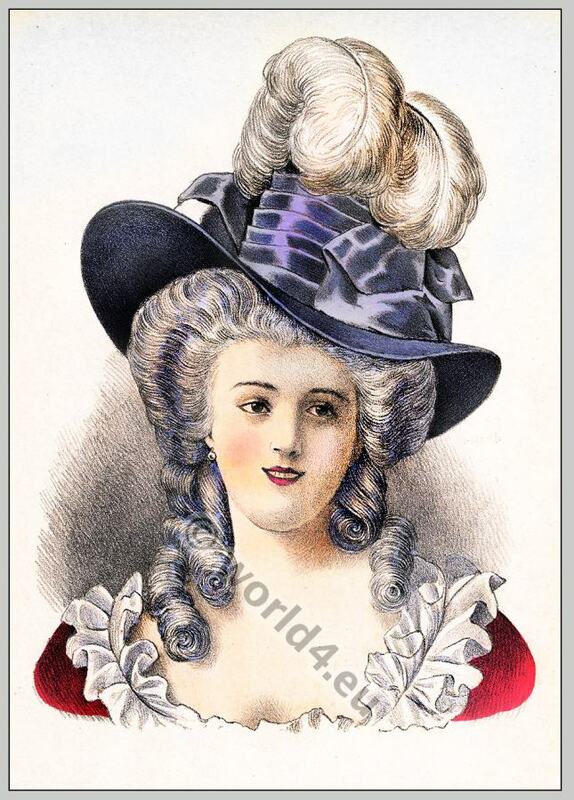 This entry was posted in 1742, 18th Century, Ancien Régime, Court dress, France, Hairstyle, Hat, Headdresses and tagged Rococo fashion on 6/12/13 by world4.